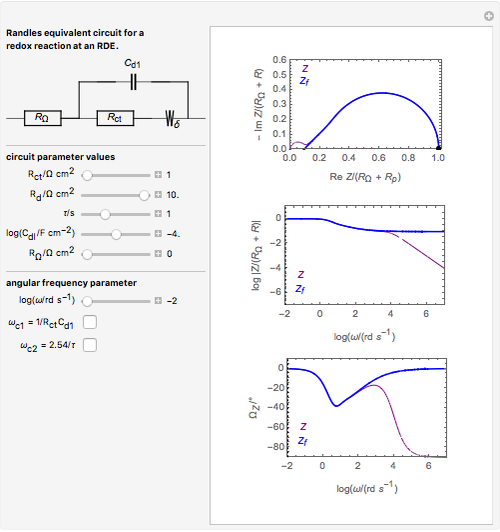 This Demonstration plots Faradaic ( ) and electrode impedance ( ) for the equivalent circuit (Randles circuit) of the electrochemical redox reaction ( ) at a rotating disk electrode (RDE) in the Nyquist and Bode (modulus and phase) planes. 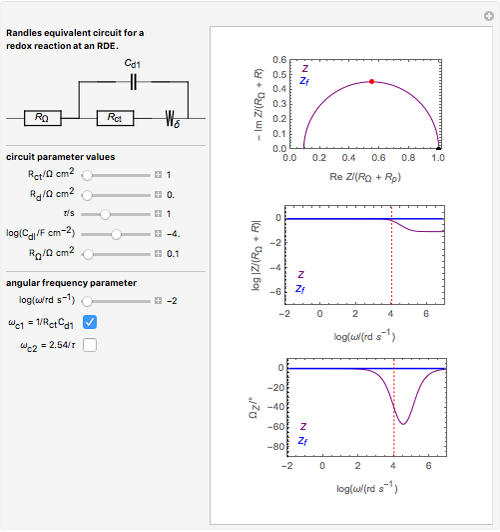 where is the angular frequency. is the charge transfer resistance, the mass transport resistance, the interfacial double capacitance, the time constant of the mass transport, the characteristic frequency of charge transfer, and the characteristic frequency of mass transport. 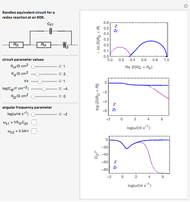 M. E. Orazem and B. Tribollet, Electrochemical Impedance Spectroscopy, Hoboken, NJ: John Wiley & Sons, 2008. Interactive Faradaic Impedance Library, http://www.bio-logic.info/potentiostat/notesifil.html. 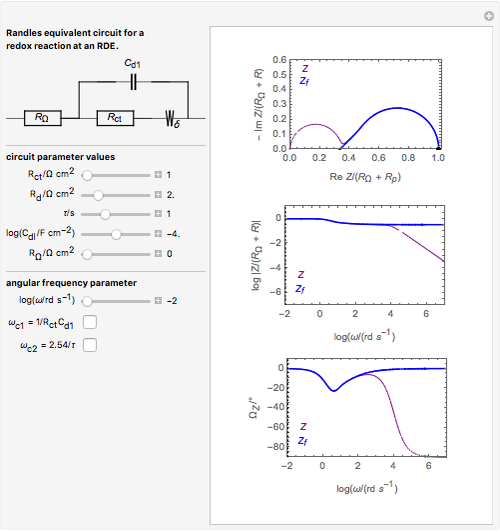 Jean-Paul Diard and Claude Montella "Impedance of the Randles Circuit: Redox Reaction (E) at a Rotating Disk Electrode (RDE)"